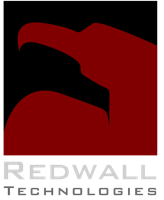 Redwall Mobile® uses unique patented techniques to protect against threats from within and without. While other vendors work on patches for malware like KingRoot or bugs like Stagefright, Redwall devices have been safe all along. No updates required, no emergency patching. Dual persona simply doesn't cut it anymore. Redwall Mobile with Secure Persona® allows for any number of distinct personas, each with its own securely isolated apps, data, settings, authentication requirements, and policy that defines which processes can access which system features, drivers, files, and networks. Visit the downloads page for more detailed papers and slide decks, and please contact us at sales@redwall.us if we can answer any questions or to arrange a demonstration. 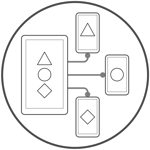 Redwall Mobile is the only technology that can create multiple cryptographically and temporally isolated personas on a single device, and enforce both high-level and granular security policies outside of the operating system. 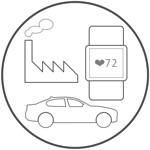 Redwall's patented IoT security technology is embedded into devices to prevent unauthorized access, block threats both from the network or other interfaces as well from within the device, and ensure device integrity and authenticity. 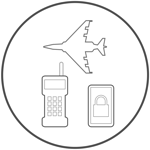 Redwall's patented multi-layered approach has proven to be completely resistant to zero-day threats that have penetrated other mobile and embedded defenses with ease, making it suitable for your mission-critical devices. Redwall Mobile security policies are simple to create, and can be edited using the policy server or with any JSON editing tool.